Homestead: Sitting room, dinning room with seating for 12 people, large breakfast room, fully equipped kitchen, laundry room, snug, 6 ensuit bedrooms. 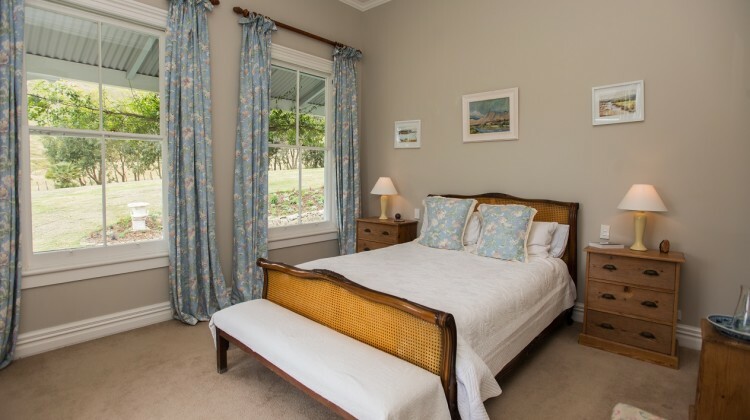 Cottage: 2 ensuite bedrooms, 1 room with queen size bed and 1 room with twin beds. A living – dinning area with wood stove and wifi. Small kitchen. Yoga studio / conference room. Yoga space for 15 people.